Be the first to share your favorite memory, photo or story of Lorine. This memorial page is dedicated for family, friends and future generations to celebrate the life of their loved one. 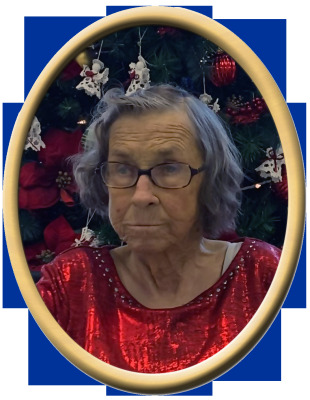 Lorine Bingham, 84, of Woodville, passed away Saturday. She was preceded in death by father, Homer Alvie Moon, mother, Lula Mae Osborne Moon, husband, Charles Jackson Bingham, sons, Jimmy Ray Bingham, Bobby Ray Bingham, and Terry (Tammy) Wayne Bingham, and several brothers and sisters. Surviving are daughters, Barbara Moss, Betty (Terry) Jean Lott, and Charlotte Marie Fowler, sons, Charles (Pat) Edward Bingham, and Roger (Cathy) Dale Bingham, 18 grandchildren, and several great grandchildren. Visitation will be Monday 5:00 PM to 8:00 PM at New Hope Funeral Home. Services will be held at New Hope Funeral Home, Tuesday at 2:00 PM with Bro. Larry Meeks, and Sis. Mary Ann Johnson officiating. "Email Address" would like to share the life celebration of Lorine Bingham. Click on the "link" to go to share a favorite memory or leave a condolence message for the family.